Disclaimer: I was given a free gourmet lunch and a few goodies during my behind-the-scenes tour, but all thoughts and opinions about how amazing CineBistro is, are truly my own. 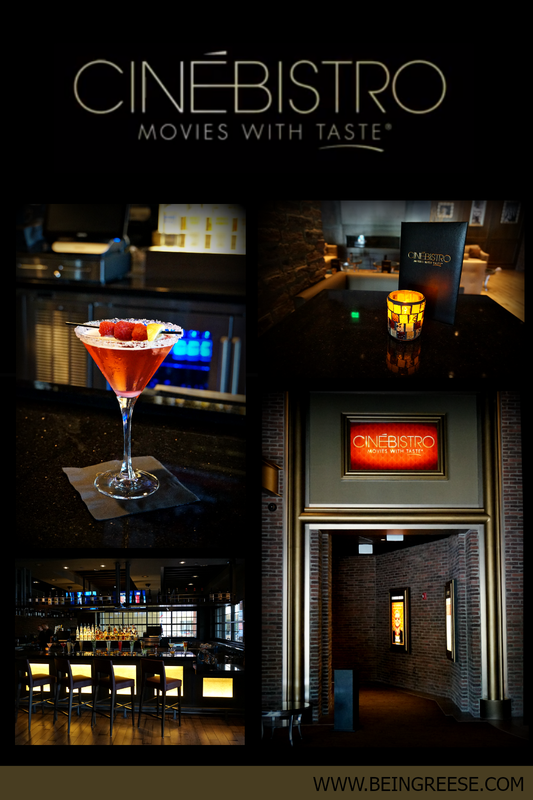 Question of the day: What do you get when you mix a world class cuisine with a state-of-the-art movie theater? 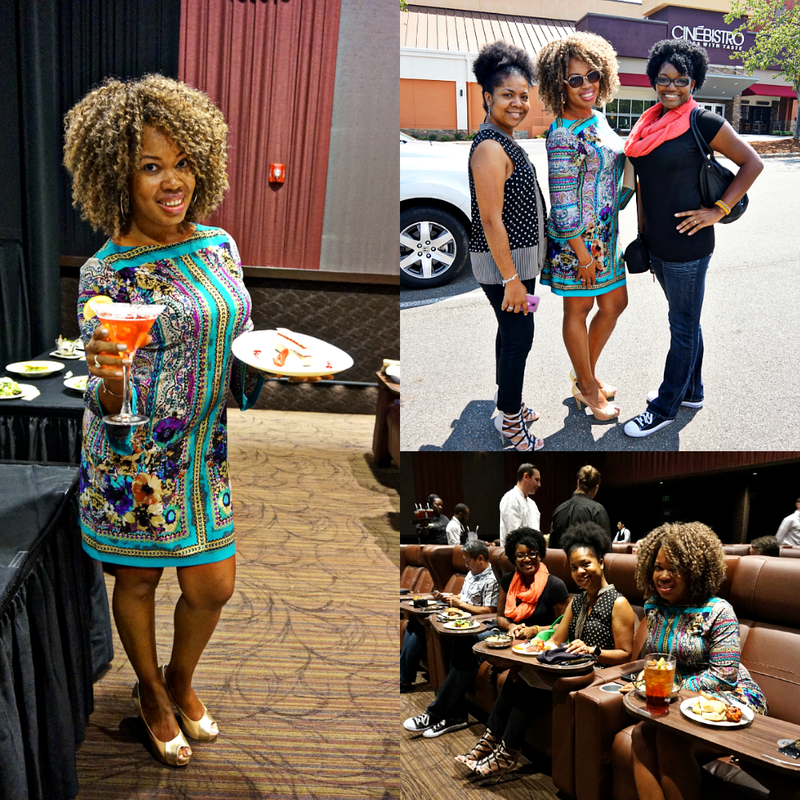 A few days ago, I was invited out to preview Cary’s latest entertainment destination--CineBistro. I admit, at first I was a bit skeptical. After all, toss a rock in the Triangle and you’re likely to hit a movie theater. However, the moment I walked into in, I knew this wasn’t your average movie theater. 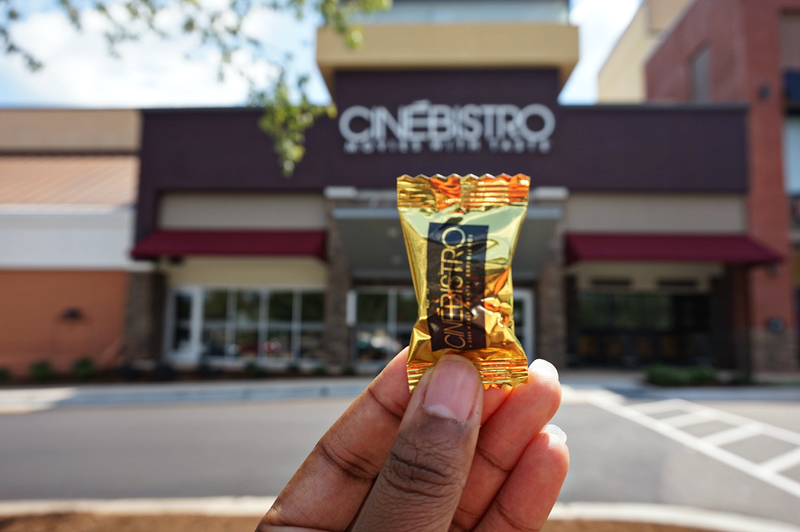 CineBistro is part of the Cobb Theater chain. This full-service lounge, bar and theater offers guests an intimate and upscale movie going experience. CineBistro takes the “dinner and a show” experience to another level. Guests can choose from an array of chef-prepared cuisine such as: Ahi "Dynamite" Poppers, Pan-Seared Salmon, Blue Crab Cakes, Roasted Beet Salad, Caramelized Banana Cheesecake and Butterscotch Bourbon Creme Brulee, all prepared from scratch and in house. Patrons can pair their delicious eats with an assortment of fine wines, draft beers and signature cocktails. It’s important to note that if you wish to receive in-theater dining services, you must arrive at least 30 minutes before your movie begins. 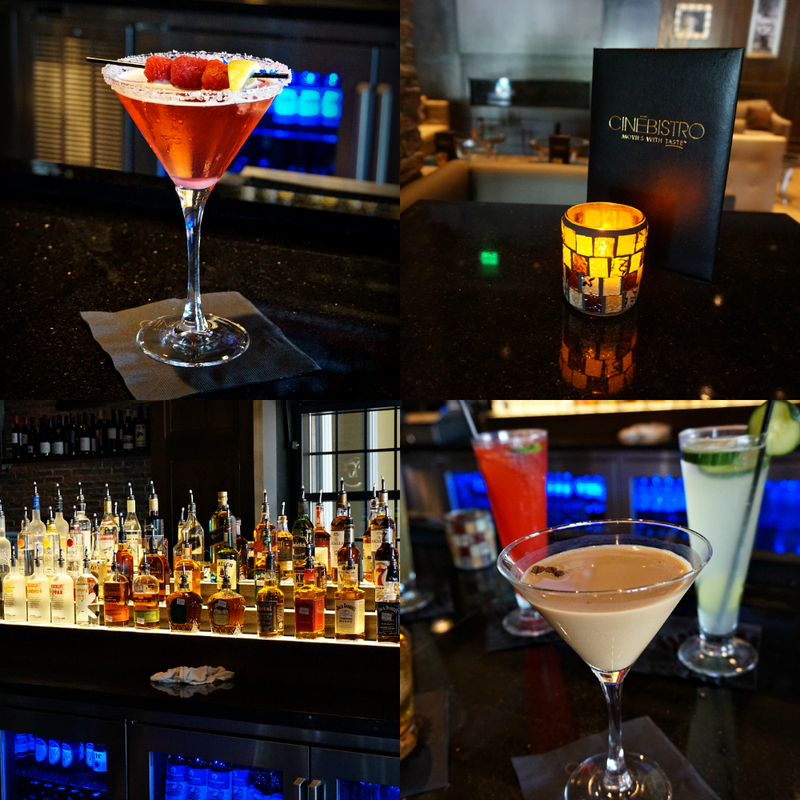 Unlike typical movie theaters, CineBistro is all about pampering. The location in Cary offers 6 state-of-the-art theaters, complete with plush leather reclining chairs and adjustable headrests. During the tour, we were invited to relax and enjoy trailers of upcoming films on their incredible screens. While we fully submerged ourselves in the CineBistro experience, the general and sales and events managers discussed some of the various ways in which CineBistro differentiates itself from its competitors. > After 6 PM, absolutely no one under the age of 21 is allowed in the theater. This gives adults an intimate atmosphere to relax and enjoy their “adult” time. > CineBistro offers gourmet food at a reasonable price. 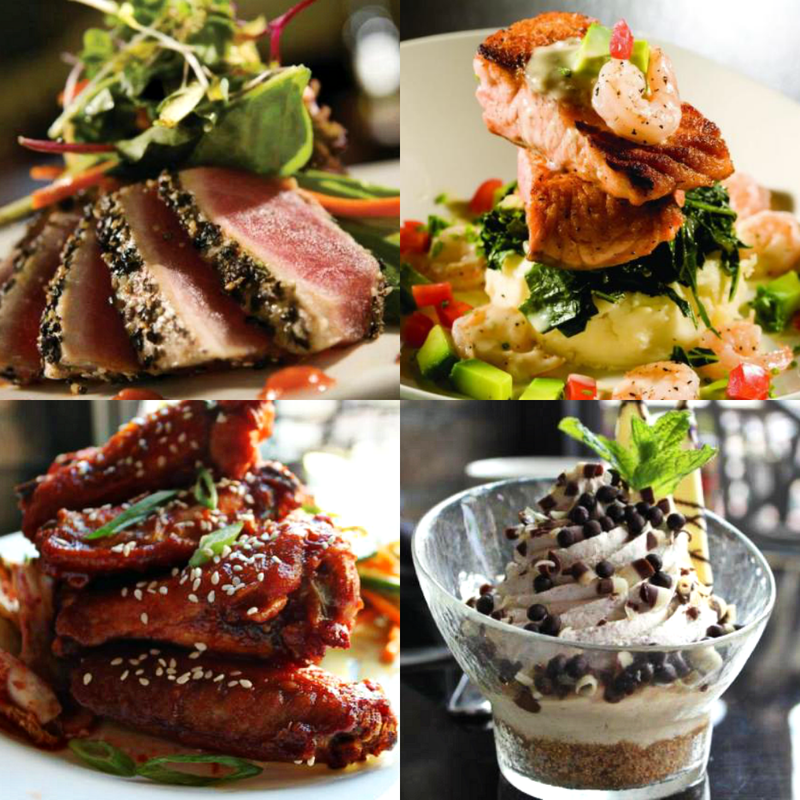 The incredible menu changes on a weekly basis, and is prepared by a world-class chef. > Patrons can order fine wines and signature cocktails from the fully-stocked bar. > There are 6 top-of-the-line screening rooms which all use silver screen technology. > The lounge and screening rooms can be reserved for corporate events, or private functions. After the tour, we had the opportunity to relax in the incredibly comfortable leather seats and stuff our faces with some of their most popular menu items. While we ate, the chef touched on some of the highlights on their menu, including their latest addition--Kimchi Fried Rice. As a self-proclaimed foodie, I'm no stranger to food, but this was some of the most heavenly food I have ever had the pleasure of tasting. CineBistro opens its doors THIS Friday. They are located in the Waverly Place Shopping Center. Reservations must be made in advance and you can expect that they will sell out this week, so book early! After opening week, guests can reserve their seats for new releases every Tuesday after 4 PM. Be sure to follow CineBistro via Facebook and Twitter for movie listing, updates contests and more! 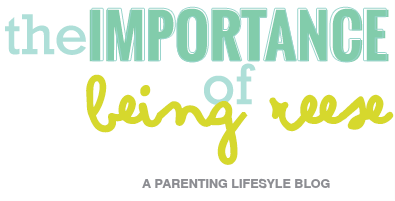 Want to know more about CineBistro? 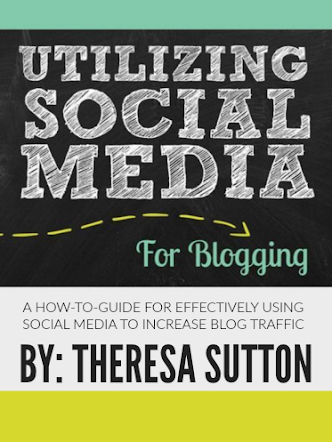 Be sure to stop by and meet the two other fabulous bloggers that went behind the scenes at CineBistro, Leslie of SobeSavvy and Jen from Jael Custom Designs! 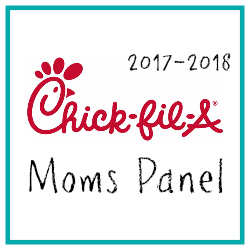 Looking forward to seeing you there on opening day! Wow, this looks fabulous! Don't know if I can make it out opening night, but me and the hubby will most definitely stop by sometime soon. That food looks divine. Thanks for sharing your experience! Thanks Tammy! Such a fun place to go on date night! You and the hubby will LOVE it!